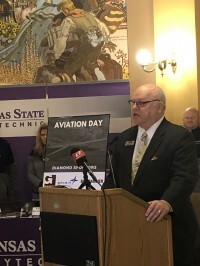 Wichita Aero Club President Dave Franson gave an Industry Outlook presentation at Aviation Day in Topeka this month. Aviation Day at the Capitol is a gathering of Kansas legislators, manufacturers, suppliers, and aviation businesses of all sizes. The mission of this event is to highlight the impact that aviation has on our state. The economic impact alone is worth over $20.6 billion. 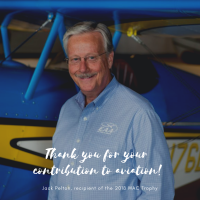 It’s vital to provide networking opportunities and industry exposure to ensure aviation continues to grow in a positive and efficient way for the benefit of Kansas. Several WAC Members sponsored the event as well, including Flight Safety International, Spirit Aerosystems, and Lee Aerospace.